Cher found support from some of Twitter’s most prominent conservatives on Sunday, including actor James Woods, after the singer questioned whether Los Angeles could handle an increase in immigrants coming to the city. “I Understand Helping struggling Immigrants, but MY CITY (Los Angeles) ISNT TAKING CARE OF ITS OWN.WHAT ABOUT THE 50,000+??????? ?Citizens WHO LIVE ON THE STREETS.PPL WHO LIVE BELOW POVERTY LINE,& HUNGRY? If My State Can’t Take Care of Its Own(Many Are VETS)How Can it Take Care Of More,” she said in a tweet Sunday. 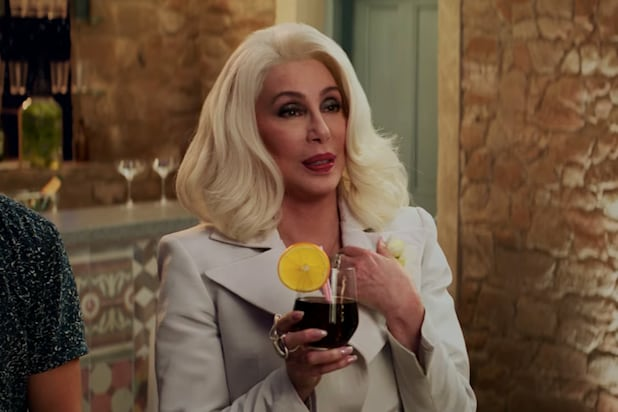 “Cher awakens to reality…,” Woods offered in response to his more than 2 million followers. Cher’s tweet came after President Trump suggested on Friday that he would consider ordering the U.S. government to place illegal immigrants inside places like Los Angeles and other sanctuary cities that have historically been more accommodating to illegal migrants. “Those Who Can Must Take a DREAMER In2 Their Home & Protect Them‼️I’m Ready 2 Do This & ??????? ?Others in MY BUSINESS WILL DO THE SAME‼️SANCTUARY.” she said in September 2017 in a tweet. A rep for Cher did not immediately respond to request for comment from TheWrap. The turnaround was applauded by some of the Internet’s biggest conservative voices. “I finally agree with @Cher!,” President Trump tweeted. The president’s son, Donald Trump Jr. also joined the fray. “Wow Trump made Cher into a Republican,” Daily Wire publisher Ben Shapiro said in a tweet noting the reversal. The Washington Examiner’s Siraj Hashmi jested that Trump could nominate Cher to replace outgoing Homeland Security Secretary Kirstjen Nielsen. The comments went from there. Now repost this tweet with everyone else's city filled-in for YOUR CITY.